Events in the Middle East have been influencing U.S. foreign policy beginning with the seizure of American commerce ships by the Barbary pirates in 1784. Today the region is dominated by the topics of nuclear proliferation and terrorism. 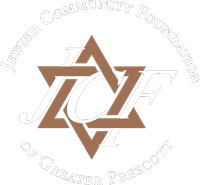 In order to gain a first-hand understanding of this part of the world, the Jewish Community Foundation of Greater Prescott, in conjunction with the America Israel Friendship League (AIFL), has sponsored educational missions to Israel for community leaders of the Greater Prescott area. Until now, this type of Leadership Mission was reserved exclusively for groups such as the National Association of Attorneys General, the National Council of Churches, national journalists, and prominent Middle East scholars. 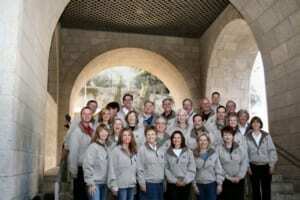 Working with the America Israel Friendship League, Greater Prescott has been the first small community in the United States to have its community leaders experience this dynamic, in-depth program that explores the importance of Israel’s democracy in the Middle East. Since 2007 more than 60 local leaders have traveled on three of these historic Missions. 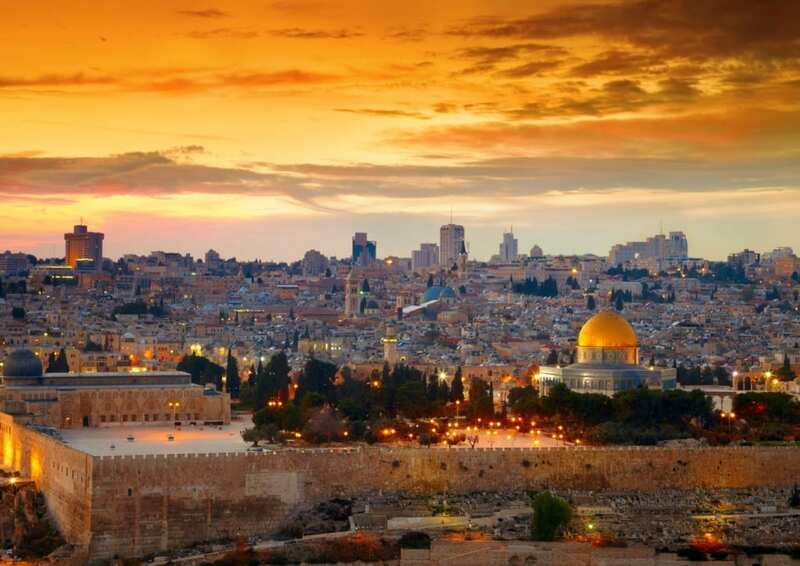 The America Israel Friendship League’s missions emphasize Israel’s democracy, its vibrant culture, and the tiny nation’s significant contributions to the world of science, technology, medicine, environmental protection, and the arts. Robert Brutinel, Arizona Supreme Court Justice; Ron James, President, Harold James Family Trust; Dr. Peter Tibi, Chief of Cardiothoracic Surgery at Yavapai Regional Medical Center; Jeff Wasowicz, partner of Fain Signature Group; Perry Massie, President of Yavapai College Foundation; John Amos, CEO, Yavapai Regional Medical Center; Krystal Burge, principal of Desert de Oro Foods, Inc.; Doug Bartosh, City Manager, City of Cottonwood; Dane Beck, partner of the Beck Legacy Group; and Christopher Marchetti, founder, Marchetti Photography. 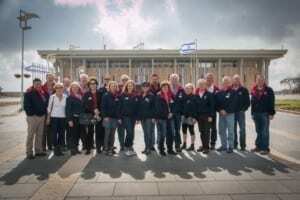 They were accompanied on the Mission by Harold and Edie Greenberg, Cliff and Anne Petrovsky, and Drew and Michelle Falick, all from the Jewish Foundation. Ken Bennett, Arizona Secretary of State; Karen Fann, Arizona Representative, District 1; Brad Fain, partner of Fain Signature Group; Steve Walker, Executive Director of Yavapai College Foundation; Jason Gisi, president of Gisi Enterprises, Inc.; Mark Peterson, principal of Desert de Oro Foods, Inc.; Kenton Jones, Judge, State of Arizona Court of Appeals; and Tracey Horn, founder, Helken & Horn Advertising Agency, Inc. 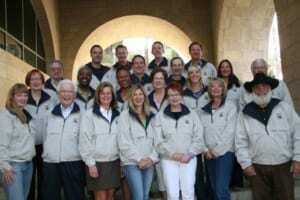 They were accompanied on the Mission by Harold Greenberg, Dr. and Mrs. Jerry Robinson, and David Hess, M.D. and Pamela Jones, all from the Jewish Foundation. Mayor Rowle Simmons, City Of Prescott; Dr. James F. Horton, President, Yavapai College; Shelia Polk, Yavapai County Attorney; Pastor Dan Storvick, Senior Pastor, American Lutheran Church; Pastor Lee Wiggins, Lead Pastor, Heights Church; Kathleen Murphy, Ceo, Yavapai Big Brothers, Big Sisters; And Attorney, Ellen Simon. Rounding Out The Group Is Business Leaders, Bill And Ron Fain, Fain Signature Group; Mike Fann, Fann Construction; Steve Rutherford, Rutherford Investments; And Tracey Horn Of Helken & Horn. They Were Accompanied On The Mission By Harold And Edie Greenberg, Martin And Luida Gottlieb, And David Hess, M.d. And Pamela Jones, All From The Jewish Foundation.